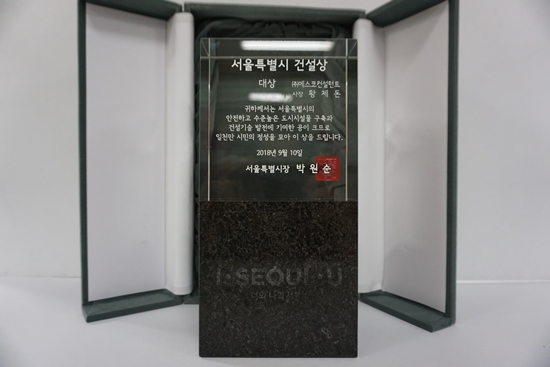 Mr. Jedon Hwang, the President of ESCO, received 'Seoul City Construction Award' from the Seoul City on September 10, 2018. As a member of the City Council on Construction Technology, he was recognized for his contribution in improving the design quality of various construction projects and opening safe city railroads. ESCO sincerely congratulates Mr. Hwang!